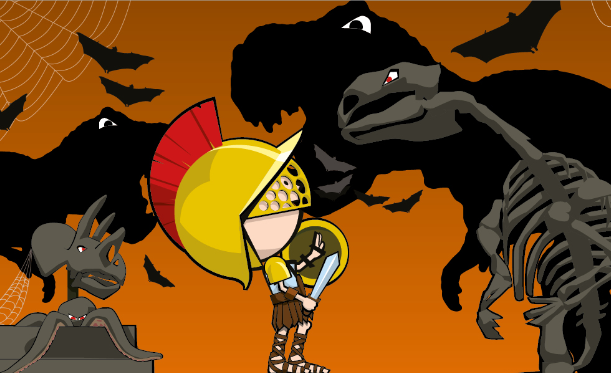 Looking for something a little scary, spooky and fun for the tribe to do for Halloween? We’ve found the best Halloween events in Sydney, Brisbane and Melbourne for you right here. 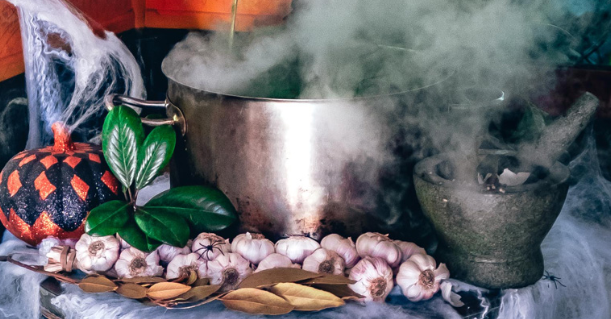 WHAT: Dress the tribe up in their spookiest costumes and head to The Grounds for an interactive installation in the gardens where you might spot a scary character or two! There are prizes for best costumes, trick or treat stations, a monster mash dance off and more. 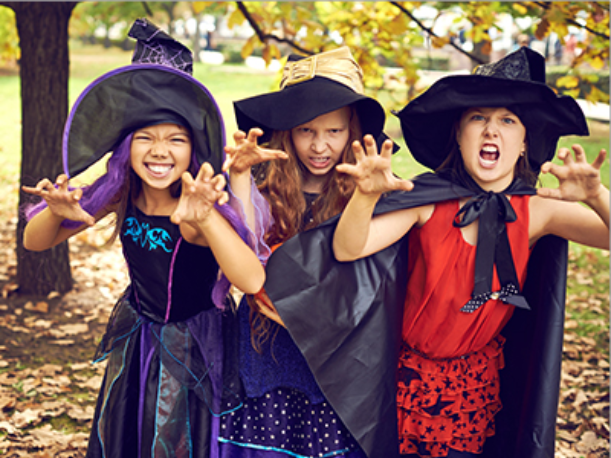 WHAT: Get the tribe in their spookiest costume and enjoy a day of spooky games, puzzles and tricks as they make their way through a Halloween course. There will also be a pumpkin carving competition and lots of treats for the tribe. WHAT: Mrs Macquaries Road will be closed off to cars and open for pedestrians and cyclists to enjoy lights and special effects. 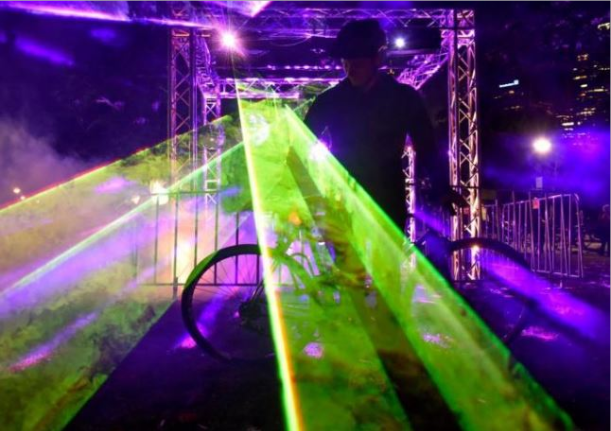 There is a 2.5km loop with fairy lights, rainbow paths, lit trees and laser light shows to name a few. Plus there will be a Halloween Silent Disco hosted by KIIS FM. But only bicycles are allowed – no scooters, roller blades or roller skates. Bike and helmet hire is available. 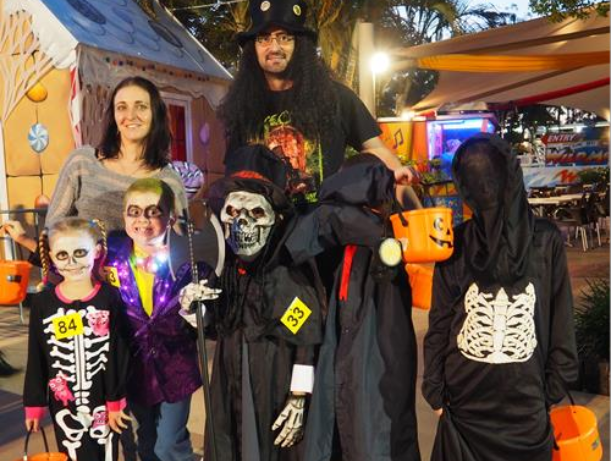 WHAT: You’re in for a treat as Aussie World transforms into a Halloween wonderland for one night. There will be family entertainment, rides, free trick or treating, Halloween fancy dress competition and a fireworks display. WHAT: Ever wanted to be inside a museum at night? This is your chance with Queensland Museum’s A Night at the Museum Halloween. Get up close and watch the spiders feeding, have close encounters with creepy crawlies, learn about snakes and watch a taxidermy demonstration! Of course there are prizes for best dressed too. 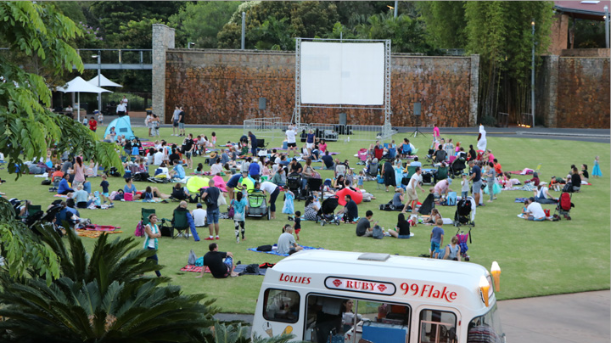 WHAT: Snuggle up under the stars and watch Monsters University followed by Edward Scissor Hands. There will be food trucks including Bruce the Food Truck, Dannyboys and Pizzantica to name a few. WHAT: Think of this as Melbourne’s biggest costume party for the whole family! Luna Park is set to transform into Luna Dark, full of carn-evil delights! There will be a zombies rising graveyard, a giant web suspended over the park with creepy crawly spiders waiting to threaten anyone who stands still for too long, plus talented make up artists from the National Academy of Beauty giving frightening makeovers. There is also lots of fun day time activities for the kids including spooky face painting and a fang-tastic photo booth. 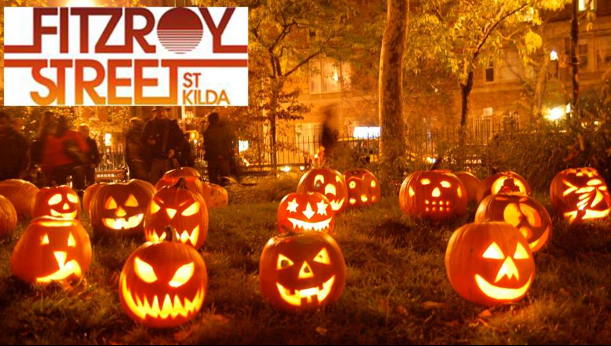 WHAT: Right before St Kilda descends into darkness, Fitzroy Street will transform into a Halloween spooktacle. Celebrations will span the entire length of Fitzroy Street including roving characters and a digital mirror selfie booth. The shops and cafes will get in on the action with spooky decorations and fun for the family.